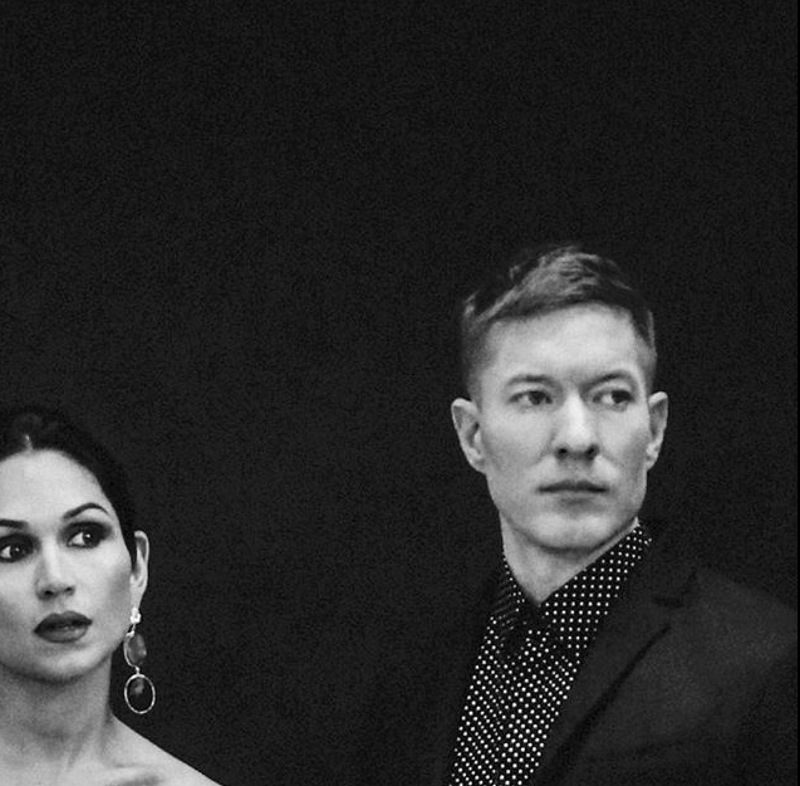 Joseph Sikora, Star of STARZ original crime drama, POWER, joins his cast mates to cover HEED Magazine, wearing custom SHERMAИ|PRESTOИ. 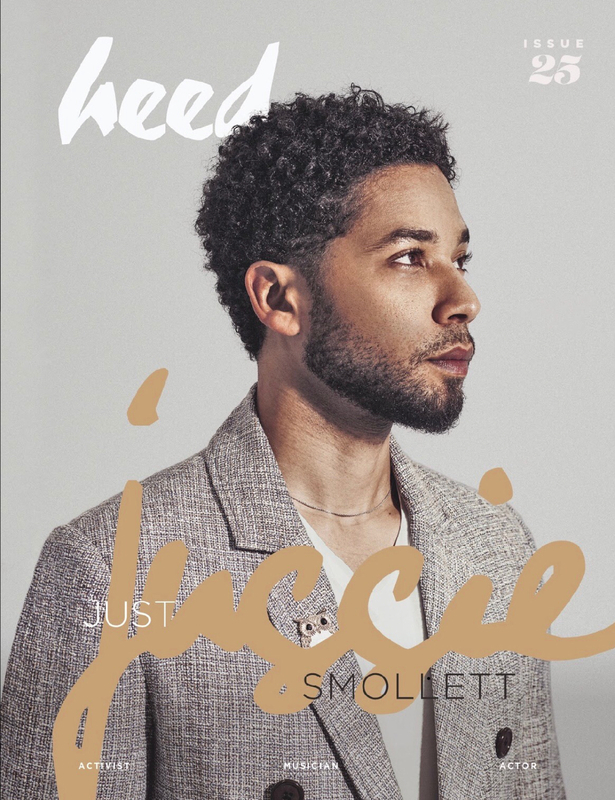 Actor, Activist and Musician Jussie Smollett covered the cover of Heed Magazine issue 25 wearing custom SHERMAИ | PRESTOИ while discussing his career, influences and upcoming projects. 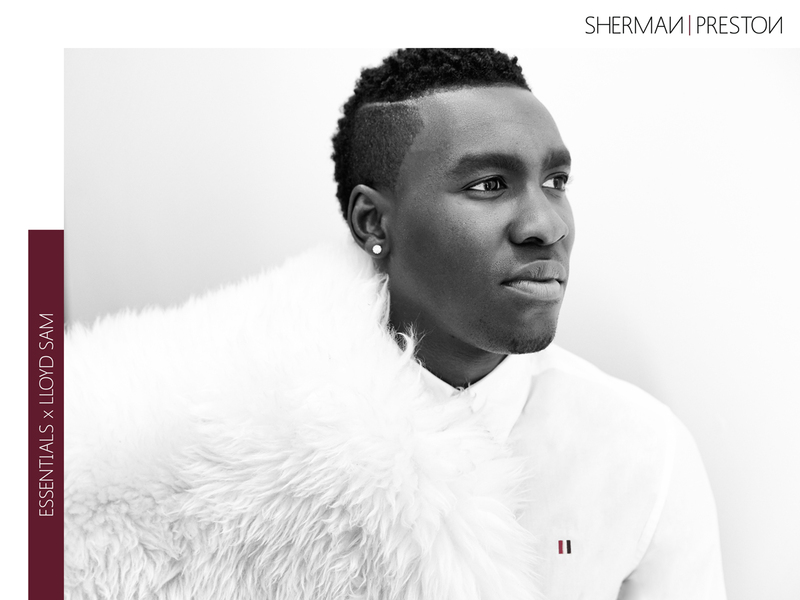 SHERMAИ | PRESTOИ E.A. 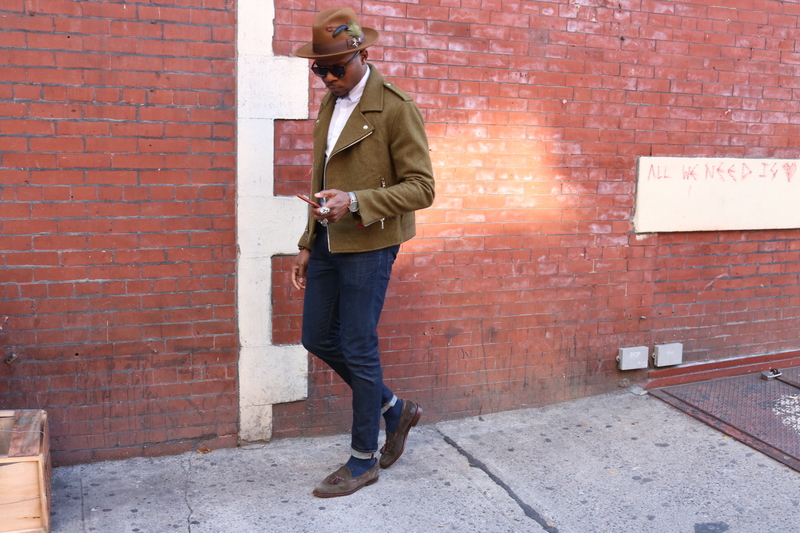 Kelvin strolls through New York in his Dean ‘Lone Green’ Biker Jacket. The fall piece, is composed of Angora wool, lamb suede trimming, interior silk lining and RIRI zippers with custom pulls. 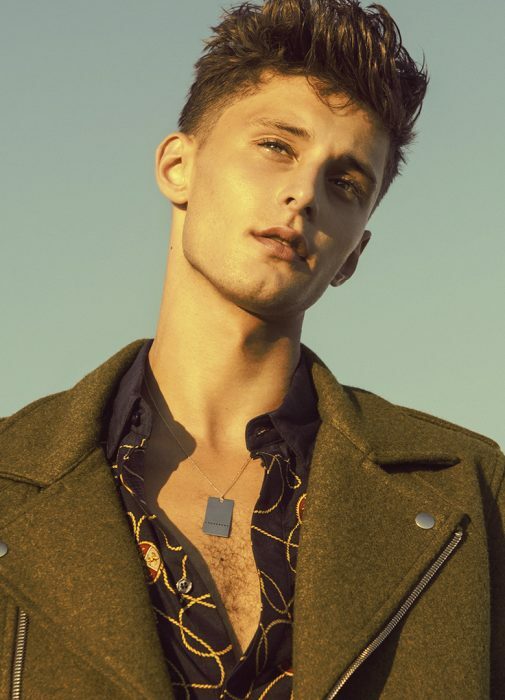 Georgie Magazine takes fall 2016 to the beach in their recent editorial “Jeremy.” The shoot features select pieces by SHERMAИ | PRESTOИ including the Cameron ‘Dots On Black’ Long Sleeve Shirt and the Dean ‘Lone Green’ Biker Jacket. See the entire editorial HERE. 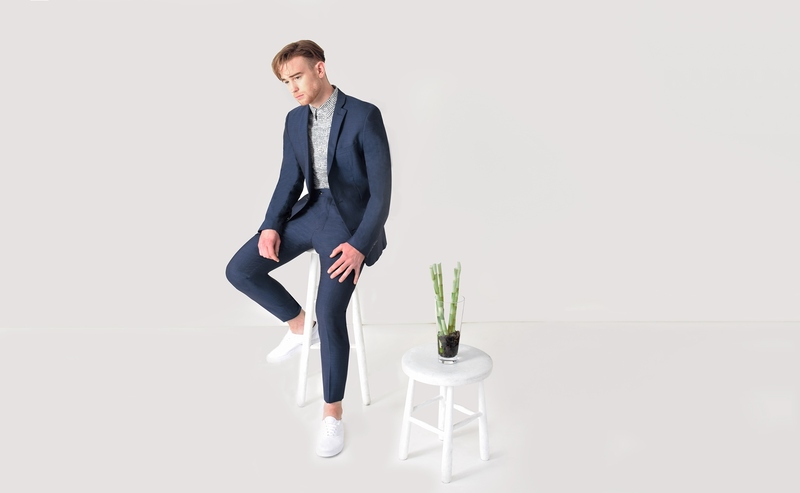 This causally tailored shirt is made of premium broadcloth pima cotton from Peru in our classic Elliot fit. 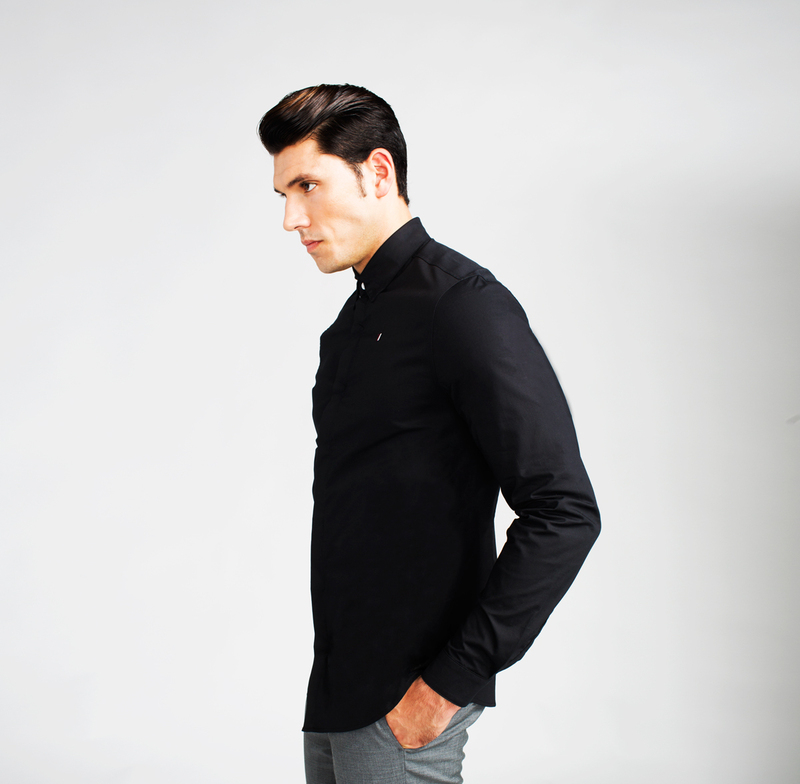 The button up shirt comes with a hidden button up placket closure and 3% stretch for tailored comfort. As part of The Essentials Collection, the Phillip shirt also features the brand’s regal flag embroidery on the upper left chest. 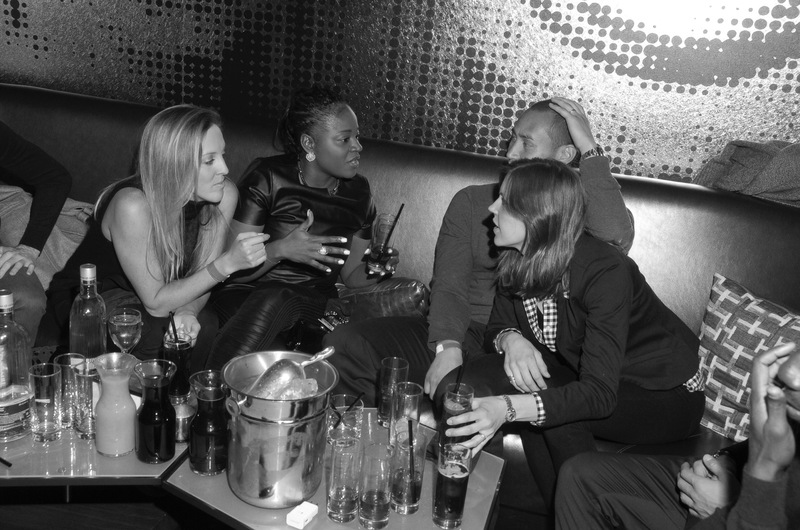 Join our mailing list for availability updates. 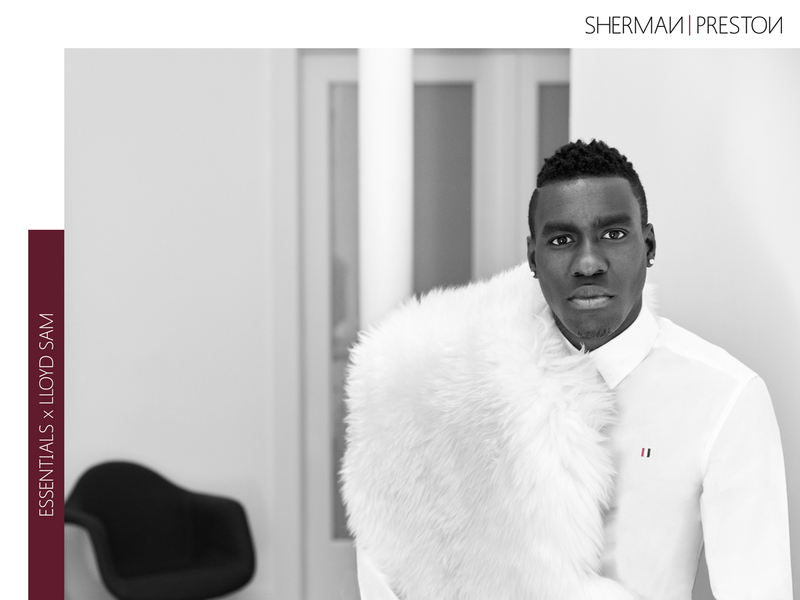 GENT MAGAZINE recaps the SHERMAИ | PRESTOИ A/W 2016 ‘H Y P E .’ Collection Campaign. Read it HERE. 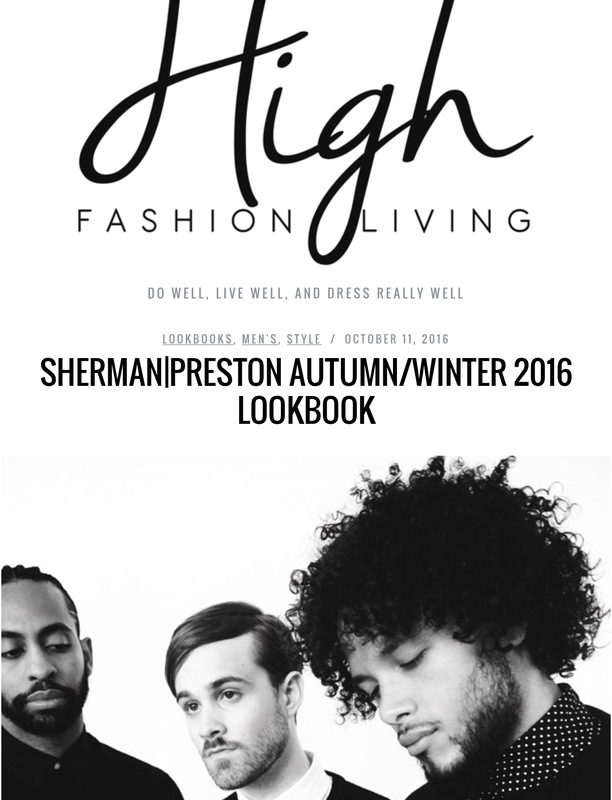 High Fashion Living recaps the SHERMAИ | PRESTOИ A/W 2016 ‘H Y P E .’ Collection Campaign. Read it HERE. 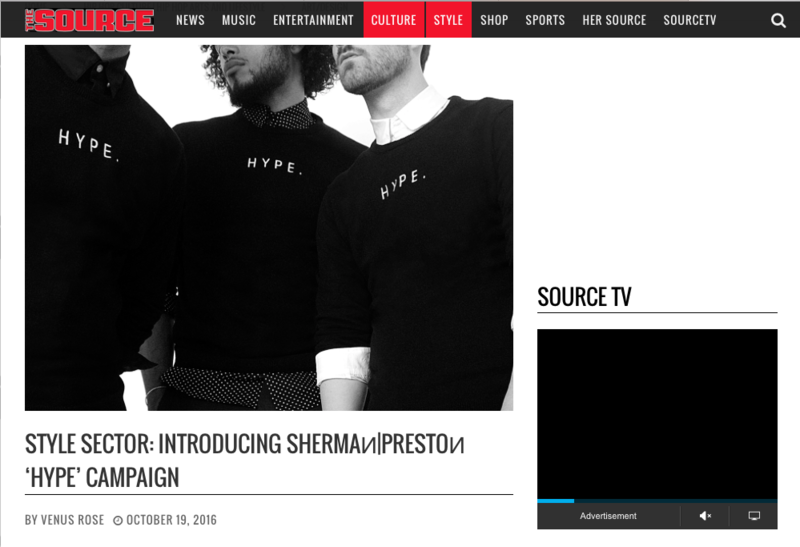 ‘H Y P E .’ is a platform propelled by SHERMAИ | PRESTOИ and emerging artists in New York City. 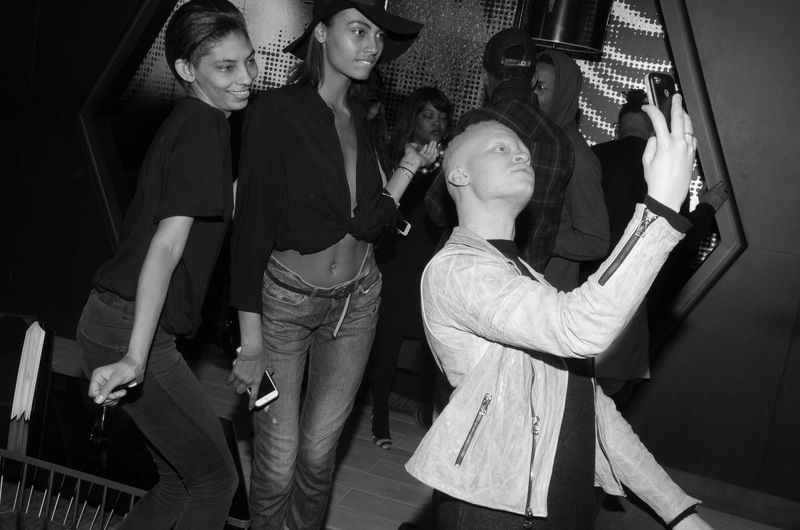 The platform bridges the synergy between fashion and music in a contemporary format. 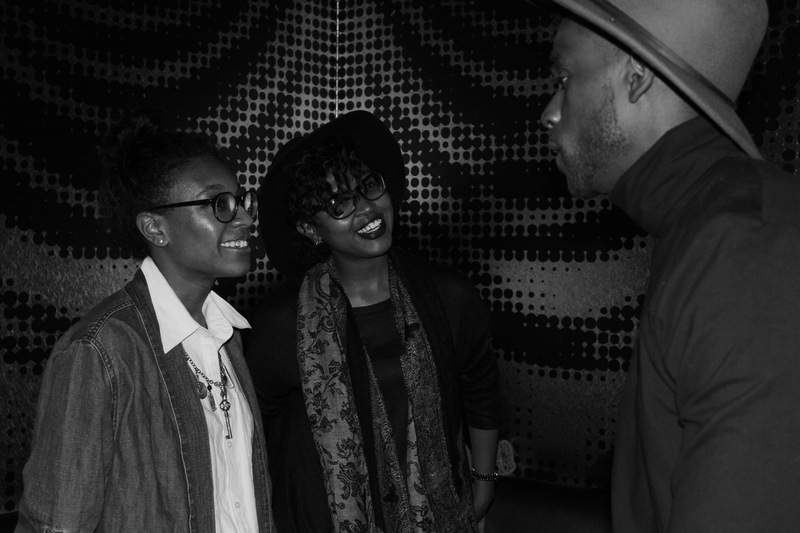 It’s campaign aligns with select artists to stage free-form expression; which is synonymous with the essence of the New York scene. Autumn 2016 campaign boasts a capsule collection featuring recording artist Anthony Flammia, DJ Danny Calderon and Flo Rida signee Marco Foster, while shot by maven Keiki Bikini. 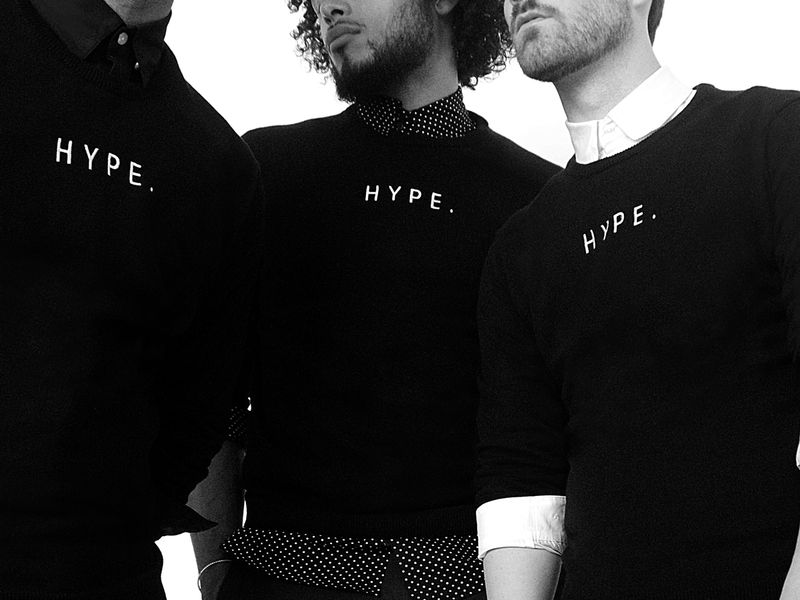 ‘H Y P E .’ classic crewneck sweatshirt. 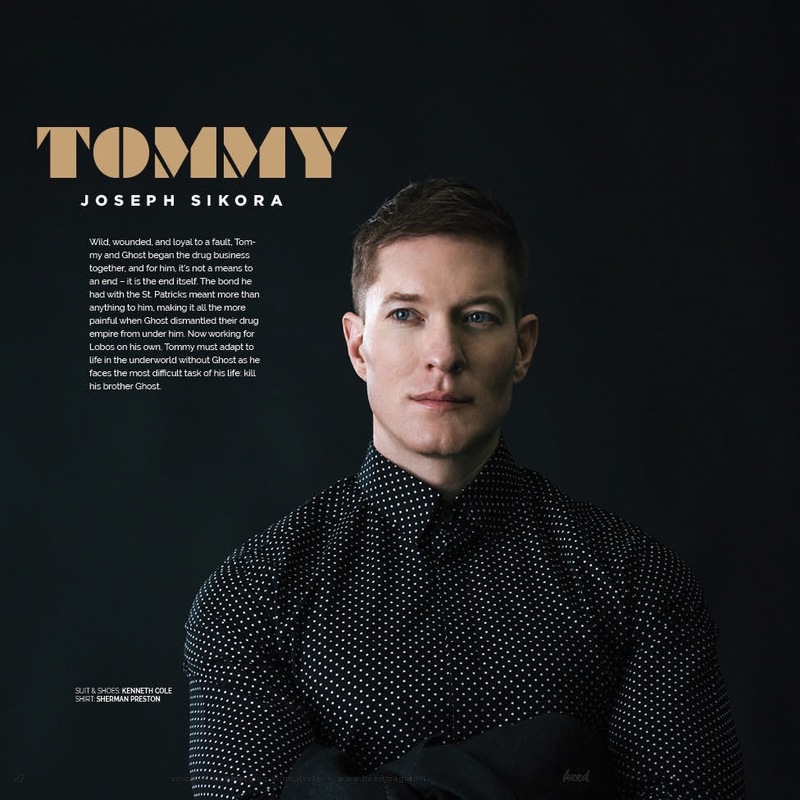 Actor and star of Starz hit show “POWER” Joseph Sikora, lands on the July 2016 Cover of Heed Magazine wearing SHERMAИ|PRESTOИ. Joseph, who is joined by co-stars Nature Naughton and Lela Loren, is wearing the fall 2016 Cameron ‘Dots On Black’ button down shirt. 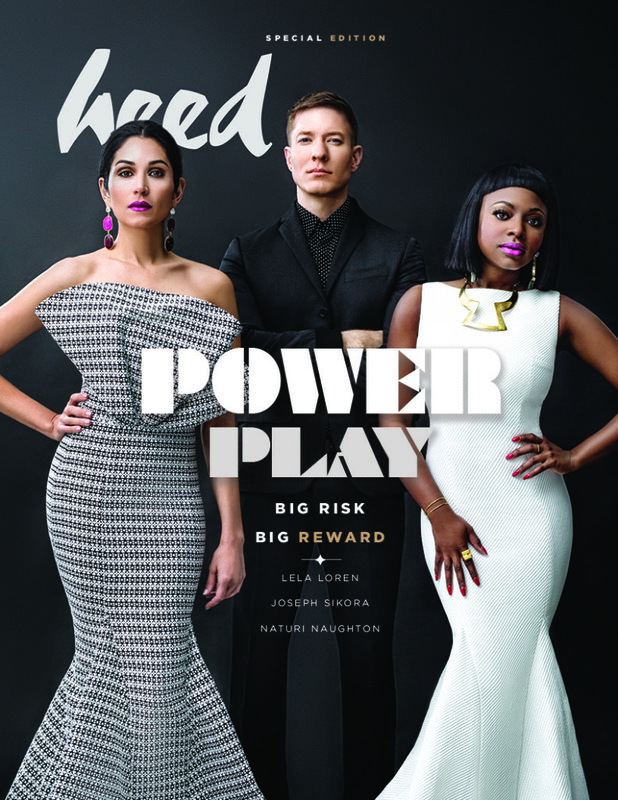 The Heed Magazine special edition cover debuts as “POWER” launches it’s third season on the Starz network. 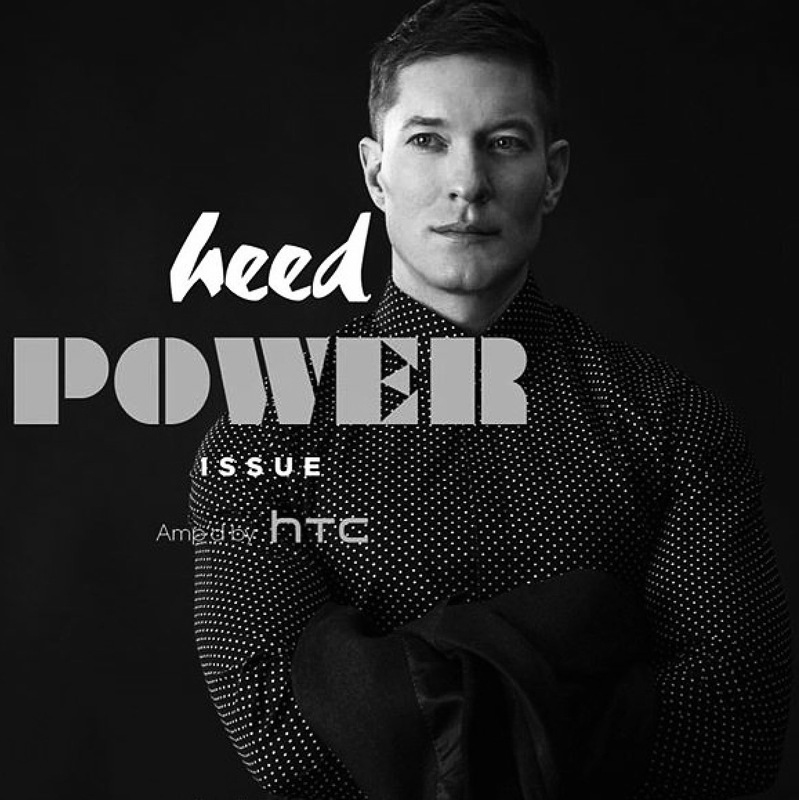 Learn more about the Heed Magazine issue here. 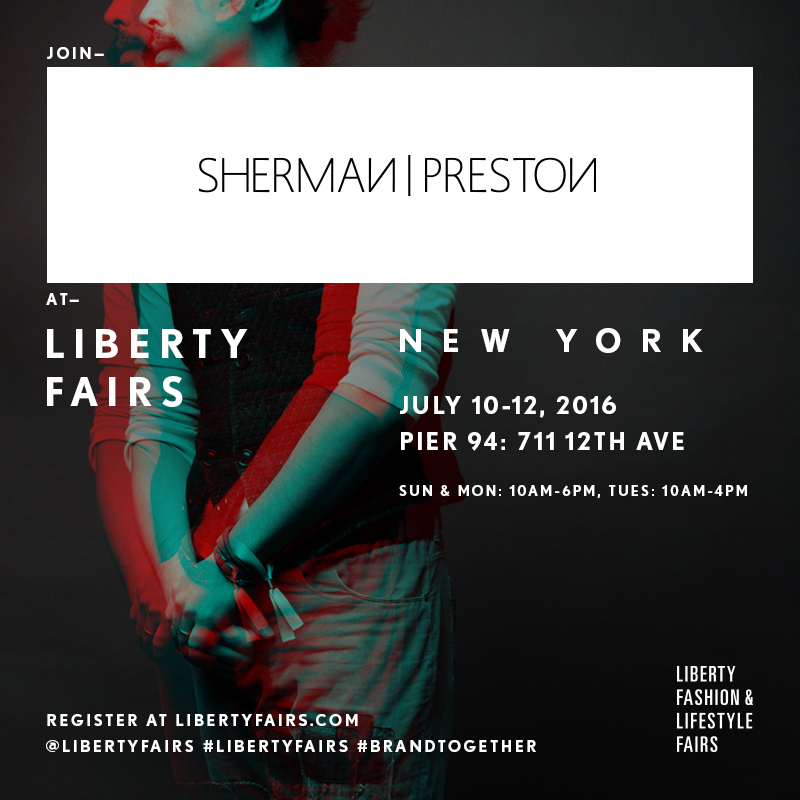 Preview the SHERMAИ | PRESTOИ SS’2017 collection at Liberty Fairs during New York Market Week. 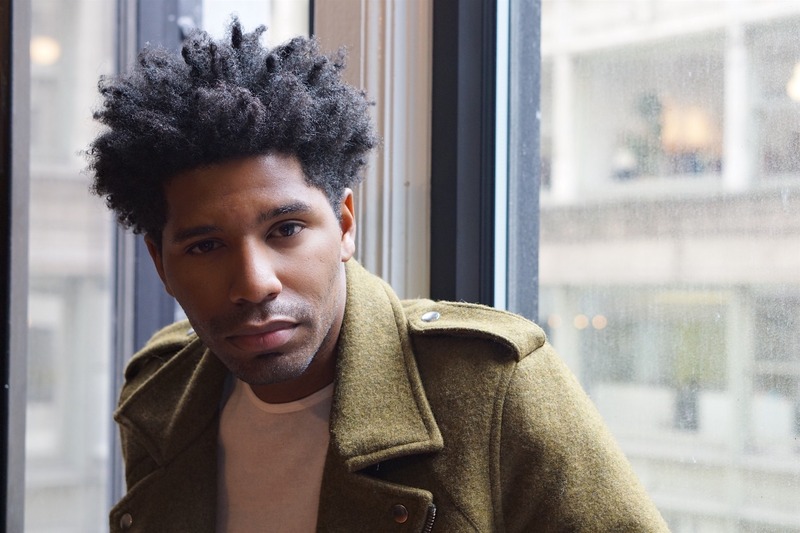 The brand, in partnership with Liberty Fairs, the CFDA and NYFW:M – will be on location at booth number 113. 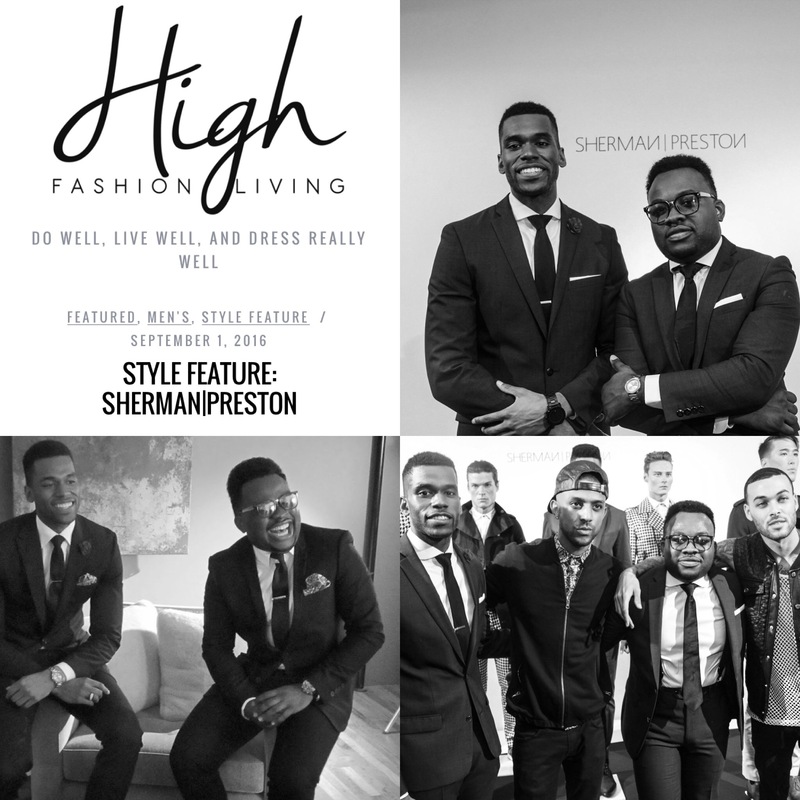 Menswear Influencer, Jamal Jackson of StyleSocietyGuy, gets personal with SHERMAИ | PRESTOИ SS’16 for his latest editorial. 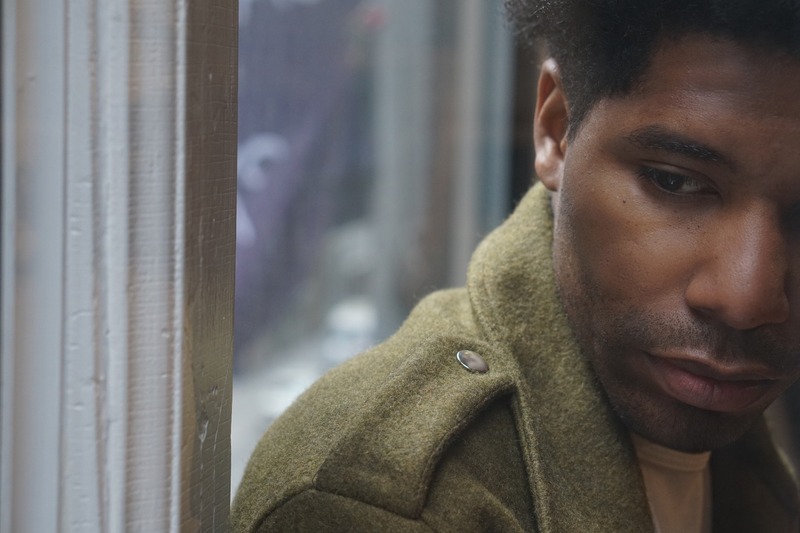 Sharing candid moments, Jamal highlights the details of The Dean ‘Lone Green’ Biker Jacket and the comfort of The Cameron ‘Inkblot’ Button Down, among other pieces from the ’11:01′ capsule collection. 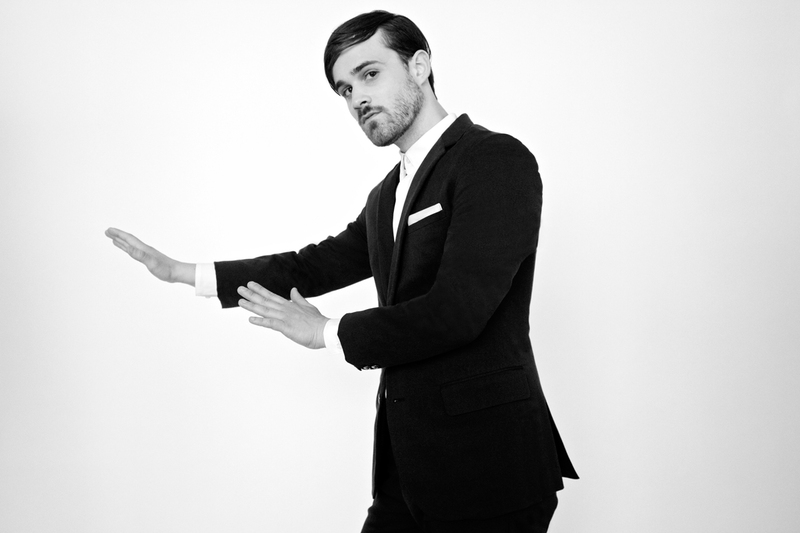 11:01 is a body of contemporary yet comfortable everyday pieces in exquisite fabrications. 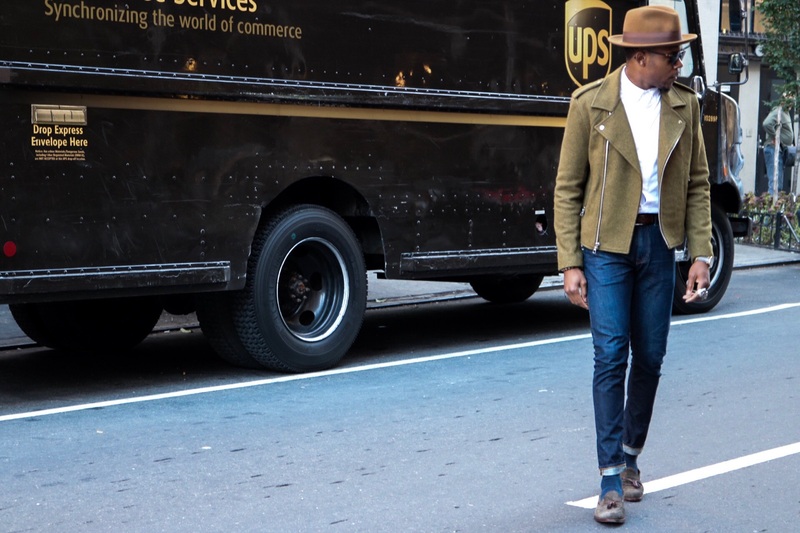 The collection showcases signature modern fits achieved with premium textiles. 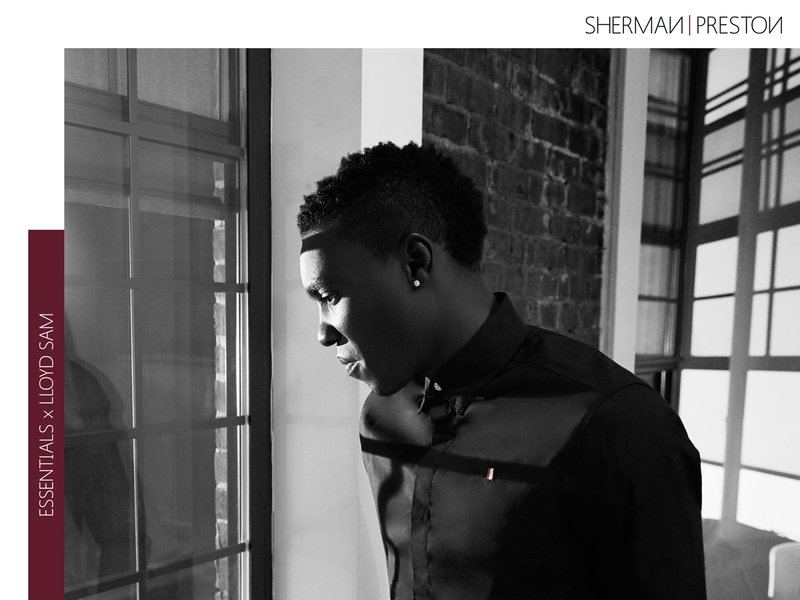 SHERMAN | PRESTON offers 11:01 as the perfect collective of pieces for the man transitioning between the spring breezes of New York to the summer nights in Los Angeles. 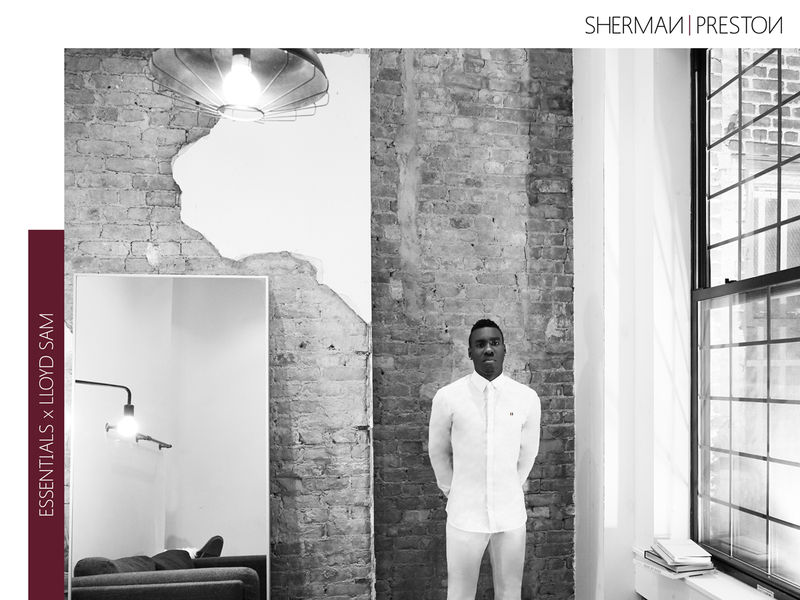 SHERMAИ | PRESTOИ curates its first in-store experience by collaborating with New York based boutique Bene Rialto. 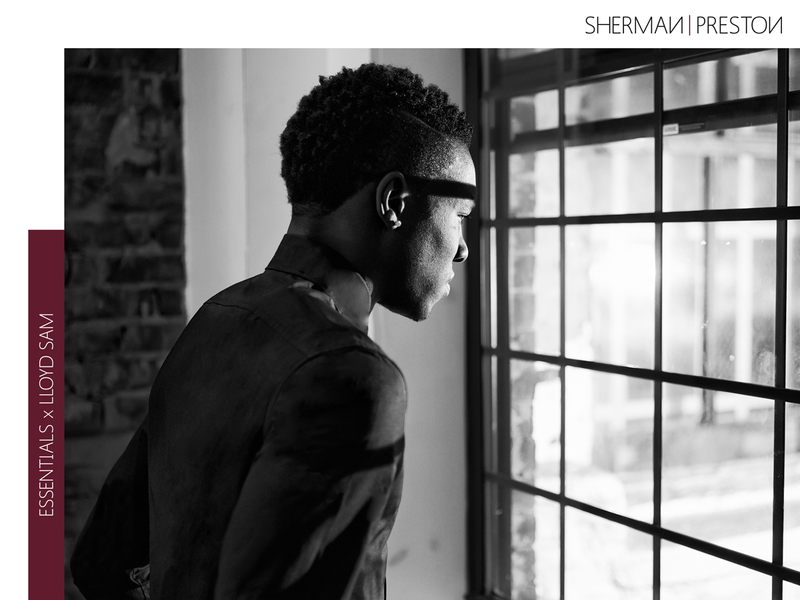 The collaboration, which includes an exclusive limited edition capsule collection, allows consumers to engage with SHERMAИ | PRESTOИ on a more personal level. 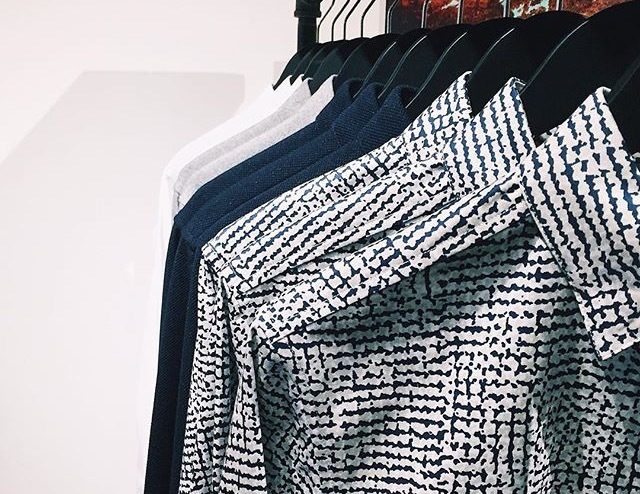 Stop by Bene Rialto and shop the limited edition capsule collection. 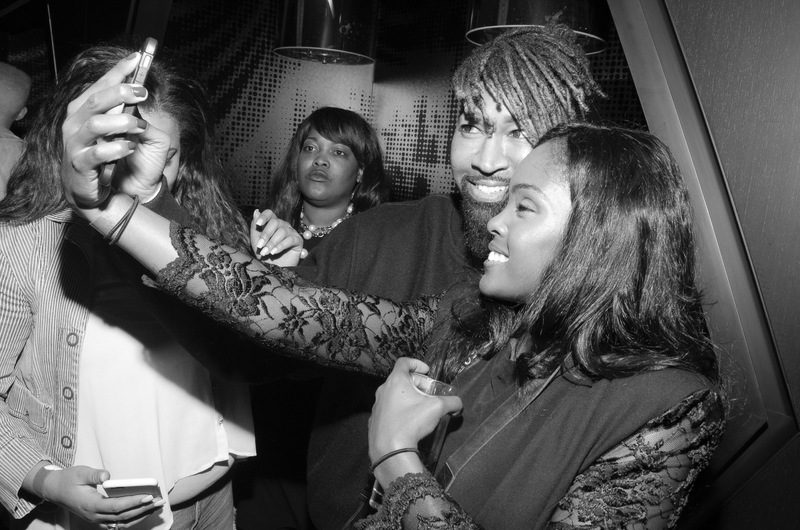 After SHERMAИ|PRESTOИ released their Spring Essentials campaign with Nylon Magazine, entitled ‘OFFSIDE’ which featured Lloyd Sam, the brand celebrated the season by toasting at The W Hotel Times Square Living Room. 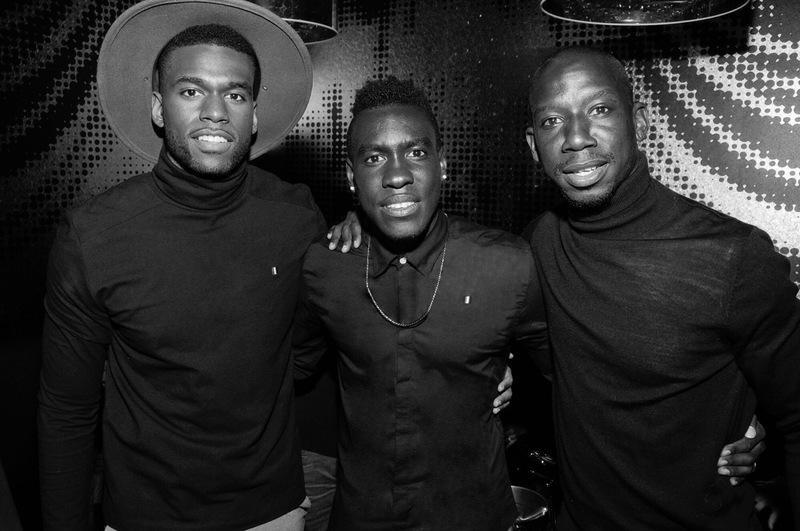 The mixer, hosted by Lloyd Sam and D’USSÉ, brought out the likes of soccer greats Bradley Wright-Phillips and Luis Robles. 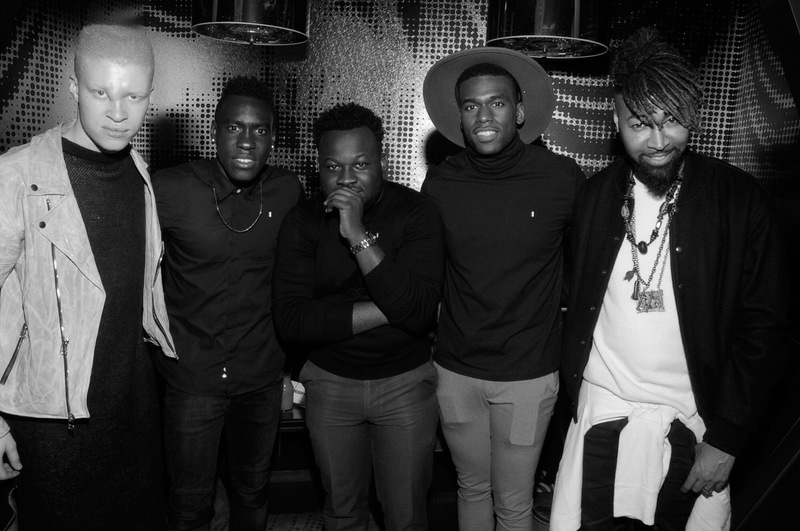 Also in attendance were notables like Shaun Ross, Ty Hunter, Peter Gunz, Patrick Toussaint, Julio Navas and Carter Schultz of Aer. 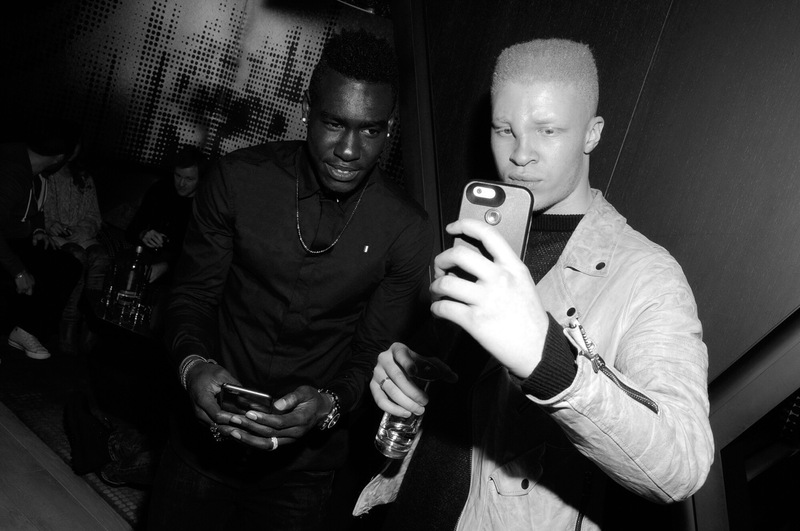 The Essentials Mixer noted the brand’s campaign ‘OFFSIDE’, which takes a personal look into the life of international soccer player, Lloyd Sam. The interpretational imagery showcases Mr. Sam’s calm demeanor as he reflects on his transition from England’s Championship League to the U.S. Major League of Soccer. Lloyd Sam’s ability to effortlessly shift the course of his professional career is reflective of the SHERMAИ|PRESTOИ Essentials collection philosophy: ideal garments for transitioning moments. 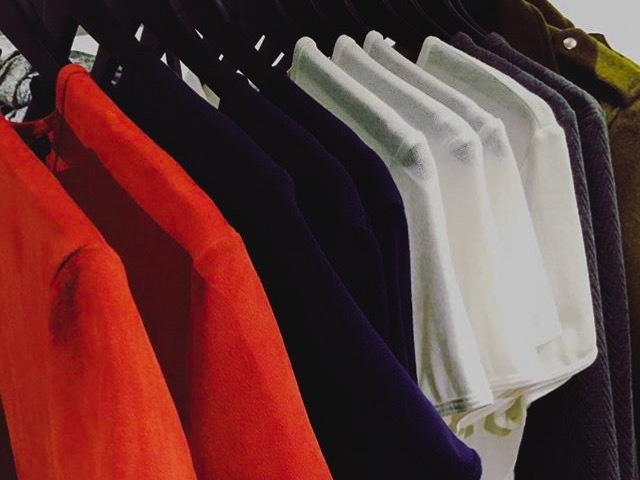 Featuring tailored fits and causal fabrications, the assortment draws inspiration from classic American staples while displaying the brand’s regal flag. 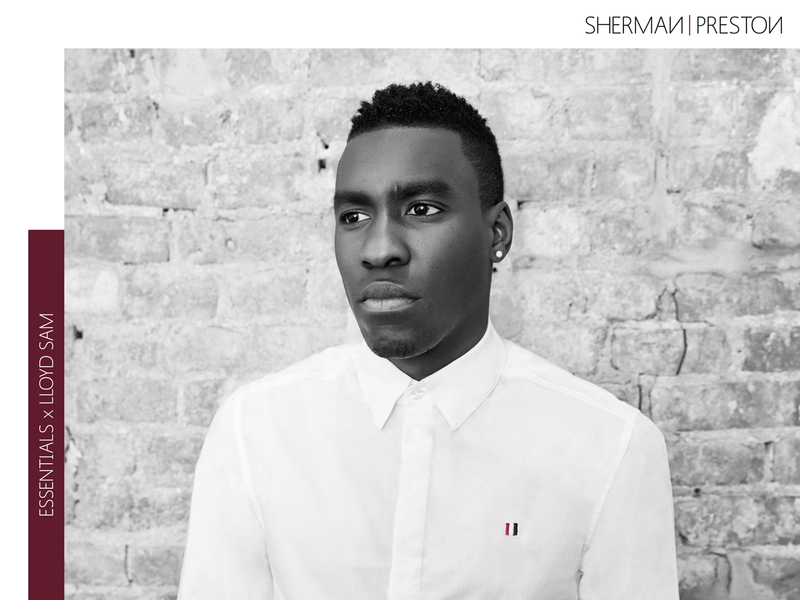 Nylon Magazine debuted the SHERMAИ|PRESTOИ Spring Essentials campaign with New York Red Bull soccer star, Lloyd Sam. 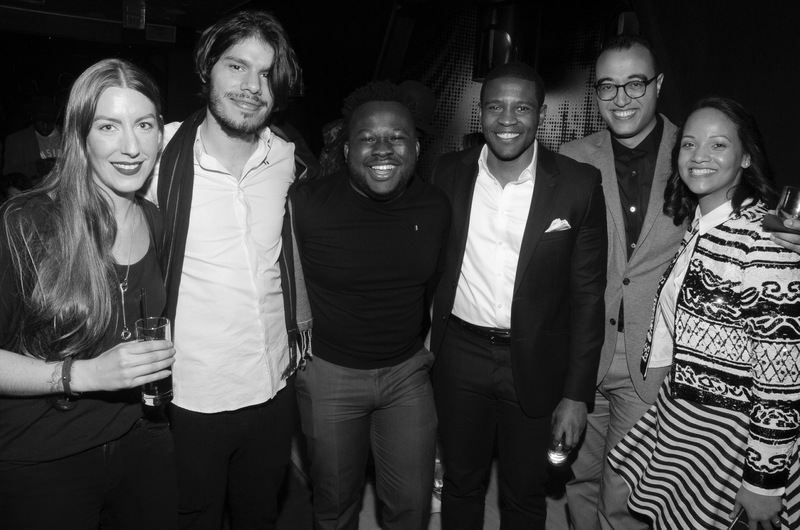 The campaign, entitled OFFSIDE, was photographed by Adrian Nina and creative directed by Sherman Joseph and Preston Williams with collaborative sponsorship by The W Hotel Times Square, where the brand will be hosting a celebratory VIP bash in their Living Room space later this month. 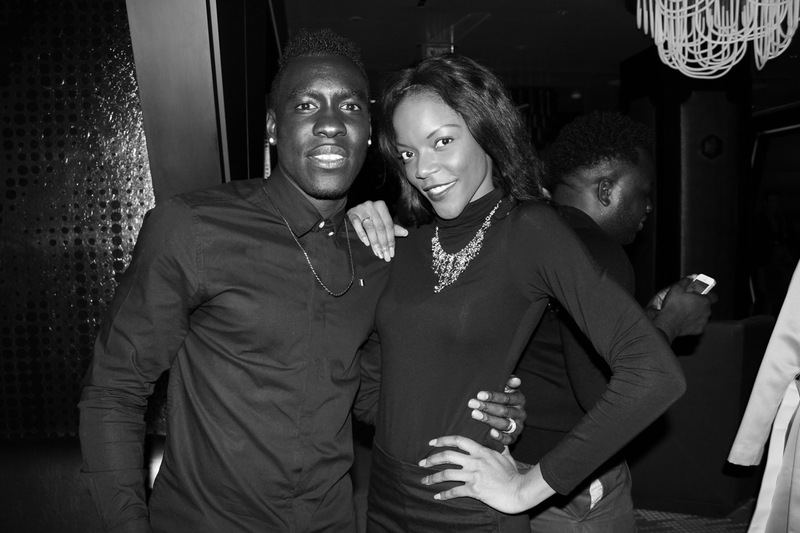 OFFSIDE takes a personal look into the life of international soccer player, Lloyd Sam. The interpretational imagery showcases Mr. Sam’s calm demeanor as he reflects on his transition from England’s Championship League to the U.S. Major League of Soccer. Lloyd Sam’s ability to effortlessly shift the course of his professional career is reflective of the SHERMAИ|PRESTOИ Essentials collection philosophy: ideal garments for transitioning moments. Featuring tailored fits and causal fabrications, the assortment draws inspiration from classic American staples while displaying the brand’s regal flag. 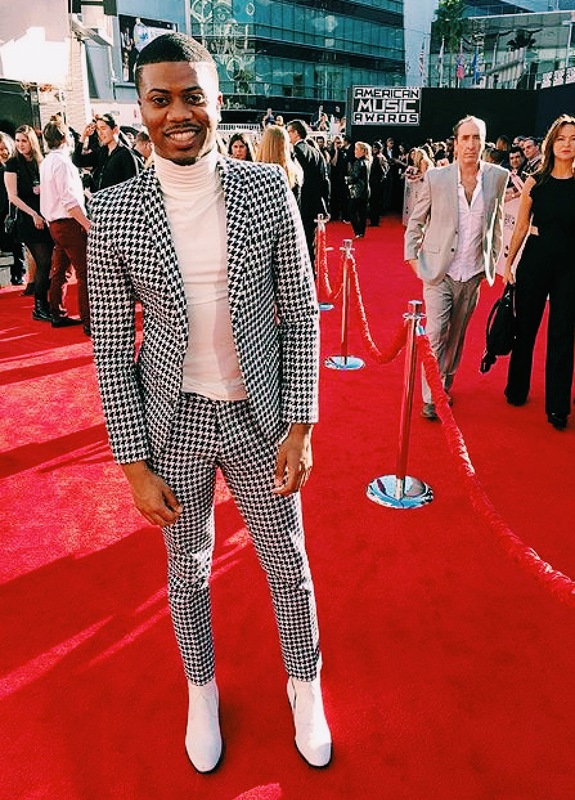 Artistic integrity is at the core of the Motif Print button up shirt. 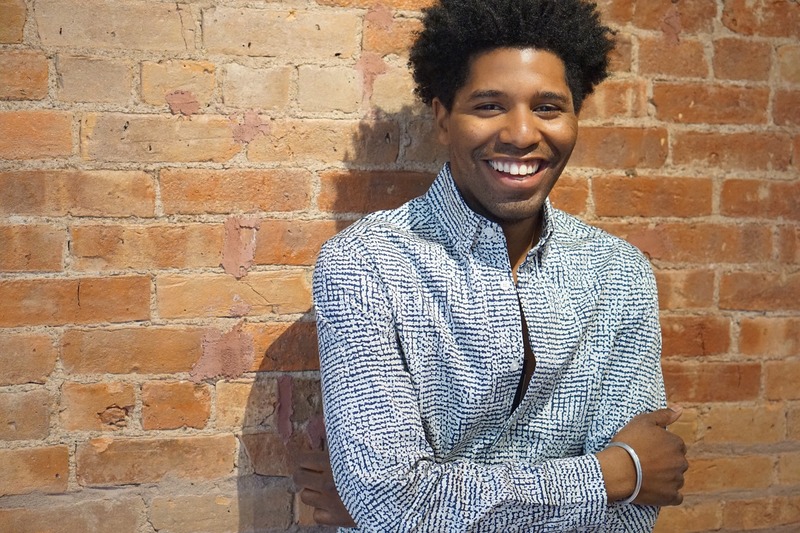 Perfect for warm climate weather, the shirt exhibits a hidden button down, semi spread collar. Also featured is a hidden button up placket closure. This is a limited print piece made in New York, US. Detail’s Magazine Insider, and Author of City Of Gentlemen Blog, Khanh Nguyen, highlighted this artistic piece in a recent photo shoot with watch brand, MVMT. 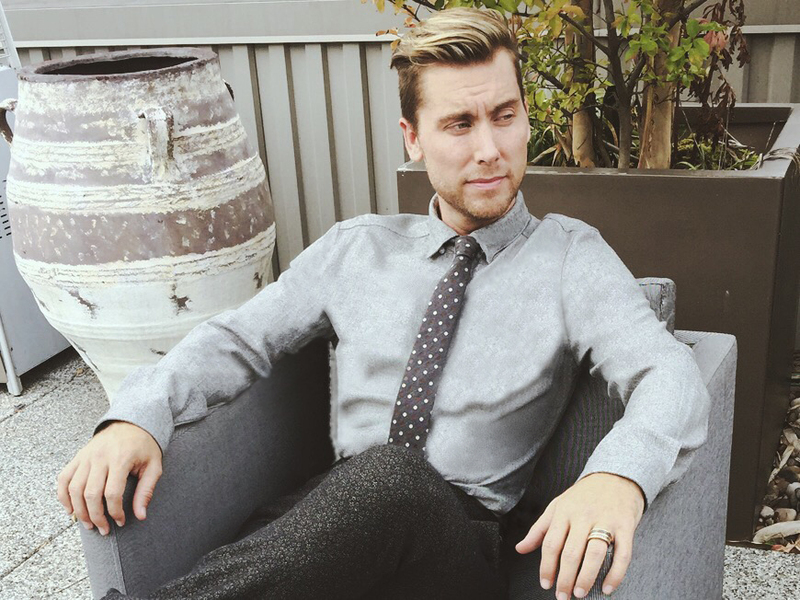 The Cameron Motif Shirt is available HERE. 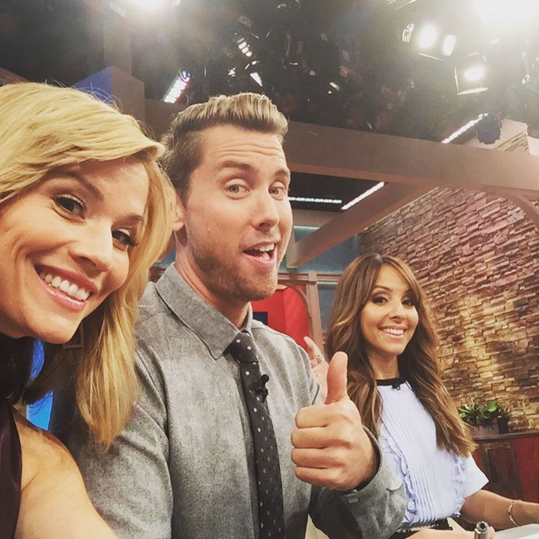 Lance Bass – signer, personality and activist – best known for being part of the boy band NSYNC, photographed wearing the SHERMAИ|PRESTOИ Dimscale Grey Shirt while taping for the Meredith Vieira Show on NBC.